Yesterday I promised a sports car, I didn’t promise I wouldn’t do another kei car. The S660 sounds almost perfect on paper. Small, extremely light and rigid, mid engined, turbo, 6 speed… but with 63 horsepower. TO be fair, this is another lightweight at around 1800lbs. The car is also absolutely beautiful to look at. One of the best looking production cars out at the moment in my opinion. One of the cooler features is the top. It’s a canvas, rollup targa style roof. 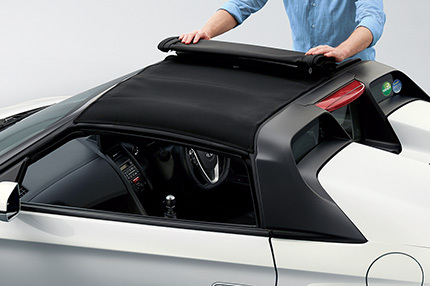 As the owner of a car with t-tops, I’m a little wary about how these neat experimental roofs will hold up through the years, but for now, I think it’s pretty sharp. 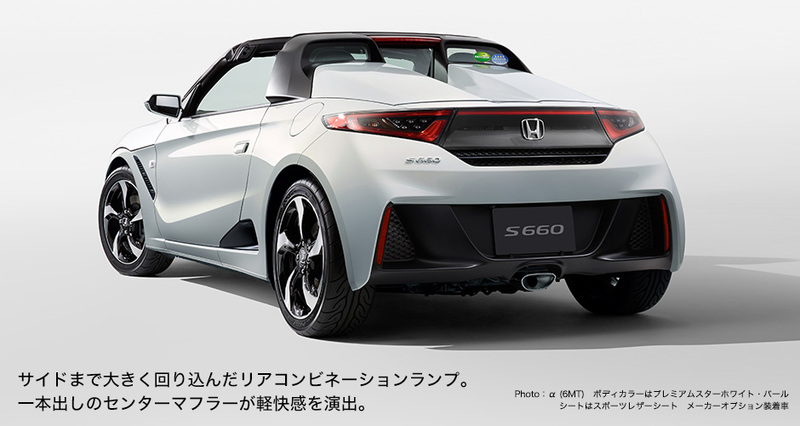 The S660 will set you back around $16,000 USD, so that’s a little on the steep side for something with 63hp, but as a drivers car, I can’t imagine anything better. This one might not stay in the no-export list for long however. I’ve read rumors that a 1 liter engine with around 125hp is being developed for export markets including the USA. I might have an angry wife if that happens.